T5, T6 and Forehead Precision Screwdriver. A screwdriver set or kit can be very useful. These screwdrivers must have magnetic tip. 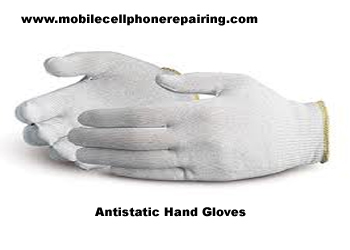 NOTE: It is very important to use only Antistatic or ESD-Safe tools to open and disassemble a mobile cell phone because parts inside a mobile phone are very sensitive to static electricity and can get damaged if precaution is not taken to prevent static electricity. 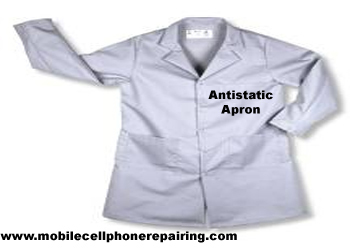 Take OFF and remove the battery cover and back facial of the mobile phone. You should use a mobile opener tool to remove the back Facia. Remove the battery, SIM card and memory card. You will find several small screws at the back. Using suitable screwdriver, unscrew and remove all the screws and keep them in a safe box. These screws must be kept very carefully so that they do not get lost. Once all the screws are open, remove the front cover or the front Facia of the mobile phone. Now you have the internal Facia or skeleton of the mobile phone. It is attached to the mobile phone PCB with screws. Unscrew and open all the screws. Remove connectors for display and camera and pull the display and the camera out. 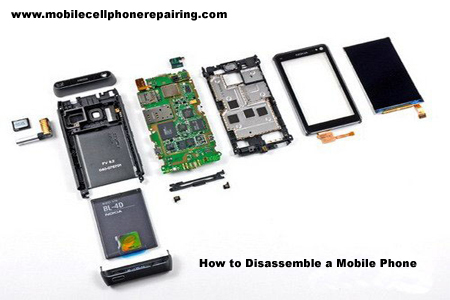 Now the mobile phone is open and you have learnt how to disassemble a mobile cell phone. Many-Many thank you,your guidance is very useful for me. It is same as opening any smartphone. I will soon make a Video and publish. I am the begiener in this feild…So I will be in in need of your talent….Will you? Please go ahead and ask me your questions. I just checked. The video is playing fine. I am presently residing in UP-Delhi Border in Ghaziabad (NCR). Before going to establish my workshop I want to learn basic knowledge/practical training of repairing. Please guide me to get best training. You should first enroll yourself in some good institute and learn mobile phone repairing and then work for few days under some experienced technician. Once you are confident, start your own business. You need to buy a software box. These are not available for free. I am going to start a nobile shop business and I don’t have repairing experience and I don’t know that what you will suggest me please. Is there any guidance you can provide me pls.Better I have to get any short course but in use it is not so easy to get a course like that. Or you will suggest me online can be perfect . from YouTube or Google I can learn that is it possible? I don’t have even basic knowledge about repairing. Please let me know. Waiting for your reply. It is better to learn first and then work under an experienced technician before starting your own mobile phone repairing business. These are just very short courses. If you do the course for 3 hours everyday, you will learn most of the things in just 15 to 20 days. Then work and gain some experience under some experienced technician who is already doing the business. Do not take any salary. This way you will also learn how and from where to buy the spare parts, their rates and how to handle customers. Thanks for introducing me to the subject of mobile repairing. The PCB Needs to be checked properly. There could be problem with the display or LEDs. Thank you,your guidance is very useful for me.